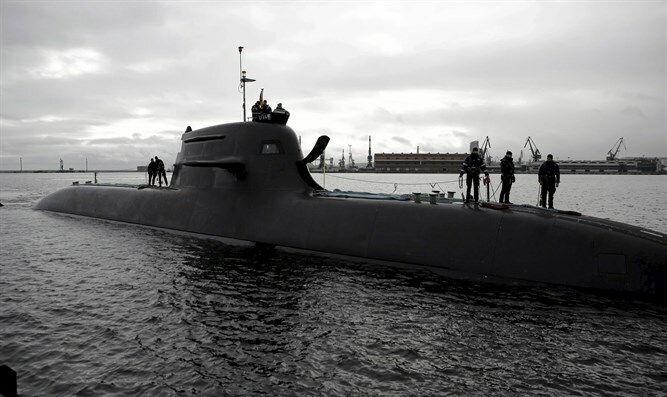 Revealed: Iran holds shares in German company that sold submarines to Israel. Senior source: Every company undergoes extensive checks. Israeli money paid to the German-based conglomerate ThyssenKrupp in the already controversial submarine deal will end up in Iranian hands, the Yedioth Ahronoth newspaper revealed on Friday. ThyssenKrupp Marine Systems (TKMS) designs the submarines, along with the Sa'ar 6-class corvette warship, for the Israeli Navy. According to the newspaper, the Iran Foreign Investment Company (IFIC), which is government-owned, holds nearly 5% of ThyssenKrupp's shares. IFIC, the Iranian government's main avenue for investing abroad, purchased the shares principally via two subsidiaries. The submarine deal is already controversial following a Channel 10 News report which claimed that that there was a conflict of interests for attorney David Shimron, who is Prime Minister Binyamin Netanyahu's private lawyer, and also represents ThyssenKrupp's representative in Israel, Miki Ganor. Attorney General Avichai Mandelblit last week decided to open a preliminary inquiry into the submarine issue after new information was received from the police and there were further developments. The Yedioth Ahronoth report brings a new layer of concern over the submarine deal, as Israel has struggled for years to prevent other countries from doing business with any sort of Iranian entity. The deal also raises questions about the level of access the Iranian shareholders would have to one of the IDF's most classified projects. According to data released by IFIC in 2011, it holds 4.5% of ThyssenKrupp. In a 2016 interview with The Business Year, Dr. Farhad Zargari, Managing Director & Chairman of IFIC, confirmed that the company still holds share in the German conglomerate, though he did not specify the amount. According to IFIC's website, 57% of its investments are in Europe. The Iranians reduced their shares in ThyssenKrupp to 4.5% in 2003, when then-U.S. President George W. Bush declared Iran to be part of the "Axis of Evil," and Washington threatened to refrain from signing new deals with ThyssenKrupp if Iran's then 7.8%-holding in the company were not reduced. The Israeli Ministry of Defense said in response to Yedioth Ahronoth that they do not know of any Iranian involvement in the company. Similarly, a senior source in Jerusalem, who requested to remain anonymous due to the sensitivity of the issue, told Haaretz on Friday that Netanyahu and the National Security Council, which led negotiations with Germany for the purchase of the naval craft, was unaware of Iran's holdings in the German company. The senior source stressed that every company involved in security deals with Israel undergoes extensive checks beforehand, and that the defense establishment does not believe there to have been any risk of an information leak to Iran as a result of Israel's contracts with ThyssenKrupp.